Welcome To Jellystone Park… And Family Movie Night! Yogi Bear and Boo Boo are always up to something crazy! The adventures get extra silly when Rachel gets permission from Ranger Smith to do a documentary on the two unique bears and the mayor tries to sell off all the trees in the park. Will Yogi’s goofy ways goof up the ranger’s plan to save the park? 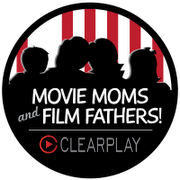 Find out with this new Family Movie Night Activity. 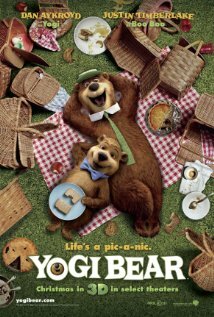 *Everyone knows Yogi’s favorite thing to eat is whatever is in YOUR Pic-a-nic Basket. Pack your family dinner into a picnic basket. Remember to serve it up right away so it doesn’t get nabbed by the smarter-than-average bear. *When Ranger Smith is trying to impress Rachel with dinner, he serves up “Rack of Spam”. Cook up your own recipe featuring the rangers favorite canned meat. *For desert pass around the chocolate turtle treats or serve up some turtle ice cream in honor of the Wide Mouth Frog Turtle that saves the park. *Yogi and Boo Boo set-up a target to make sure they’re in the right place to catch picnic baskets they catapult off the table. Set up a ruler so some of it is hanging off the edge of your table and put a mini candy bar on the part of the ruler that is still on the table. Try catapulting a treat to eat for your family members. *When Yogi shows off his water skiing skills he’s wearing a picnic tablecloth as a cape. Pause the movie for a bit while you each tie on your own tablecloth capes. 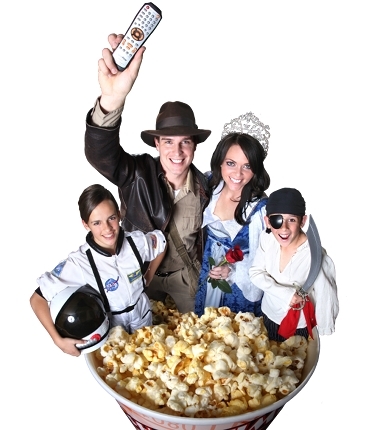 *To watch the movie in style, dress up like park rangers or Yogi Bear (hat & tie) & Boo Boo (bowtie). *To add some atmosphere to your movie night, decorate your house like Jellystone with 100th Anniversary Decorations, including balloons and banners. To go the extra mile, consider bringing in your picnic table to eat off of. Don’t have one? No problem… just spread out a blanket and enjoy the show like the patrons of the park waiting to see the fireworks. *Towards the end of the movie, the Wide Mouth Frog Turtle gets tossed around from person to person. Play a version of “Hot Potato” with a pretend turtle (or anything really) or turn on some music and play “Musical Turtle” instead of “Musical Chairs”.